Gengahr, gig in Leeds in November. Unusual indie pop four-piece Gengahr make their live return this autumn with a string of intimate UK shows, including a date at Leeds city centre venue Nation of Shopkeepers. As they ready the much anticipated follow up to 2015’s acclaimed ‘A Dream Outside’, the band will be trying out new songs and previewing material set to feature on their forthcoming new album exclusively at these live shows. Looming from the shadows with their clutch of new songs, the spectral indie pop music makers will kick-off proceedings at Sheffield’s Bungalow & Bears on Wednesday, November 16 before taking in the likes of Liverpool, Bristol, London, Hull and Newcastle and appearing at Nation of Shopkeepers on Wednesday, November 30. With only sparse live appearances dotted throughout the summer to note, the North London band have spent the latter part of 2016 with their heads down, writing and recording album number two. While the release date of the new album still very much to-be-confirmed, the forthcoming shows will offer a tantalising first taste of the new material to come. Giving insight into what to expect from forthcoming shows Felix adds: “After finishing the record we wanted to get out on the road and start to get our heads around the new songs as soon as possible and see how they translate live. “It’s also going to be a great opportunity to play in some of the cities we didn’t make it out to last year. Gengahr picked up much critical acclaim for their 2015 debut release, ‘A Dream Outside’. 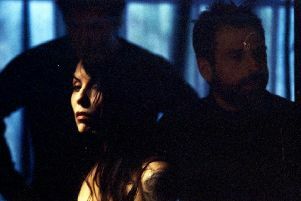 It featured the singles ‘She’s A Witch’, ‘Heroine’ and ‘Fill My Gums With Blood’, all of which gained heavy radio rotation on BBC 6 Music and XFM. Demand for ‘A Dream Outside’ catapulted the band headlong into an intense touring schedule across the globe and saw them established a thrilling live reputation with festival-winning performances at Reading and Leeds, Latitude and Glastonbury. With new material ready and waiting, Gengahr are now preparing to open an all-new and exciting chapter.